Tibetan theology and the private grief of Abraham Lincoln might not seem like two subjects that naturally go together, but George Saunders masterfully interweaves them in his stunning novel Lincoln in the Bardo. The sixteenth president of the United States has fascinated writers and artists ever since his emergence on the national stage, leading most recently to films such as Steven Spielberg’s Lincoln, best-selling nonfiction such as Doris Kearns Goodwin’s Team of Rivals, and shlock like the “mashup novel” Abraham Lincoln: Vampire Hunter and its movie adaptation. However, in this case the titular Lincoln is not Abraham, but rather his son Willie, who died in February of 1862, when the Civil War had been raging for less than a year. Interred in his grave, Willie finds himself in bardo, a liminal state between life and death that features in some Buddhist interpretations of the afterlife. Here, he encounters a panoply of strange new neighbors, such as the naked Hans Vollman and the youthful Roger Bevins III, who sprouts a multitude of eyes and arms whenever he begins rhapsodizing about the beauty of the world that he’s left behind, as if trying to adequately appreciate the entirety of creation. Willie and his companions don’t know that they’re dead, and in large part their ignorance propels the plot of the novel. They’re joined by a wide cast of characters that peoples (or haunts) the graveyard, ranging across every conceivable social, racial, and moral division within their society and often replicating those same hierarchies in death as in life. Lincoln in the Bardo is also, as many other reviews of the book have noted, formally daring. Rather than taking a single narrative voice, Saunders divides the text of the book into what appear to be lines spoken by various characters, as if he were writing a play. However, rather than identify the characters at the beginning, he attributes each chunk of speech to an individual character or source as if quoting an epigram. Furthermore, he purposely plays fast and loose with attributing each utterance: Vollman, for instance, may relay, verbatim, quotes spoken by Willie or Roger, or he may adopt a voice similar to that of a more traditional first- or third-person narrator. Some chapters consist of what appear to be quotations from primary and secondary historical sources (text from Goodwin’s book makes a cameo appearance). However, while some of these are authentic, others are purely Saunders’s invention. The overall effect is that of a dizzying proliferation of voices, none of which ever fully dominates the narrative. The Russian critic Mikhail Bakhtin praised Dostoyevsky’s novels for achieving what he called “polyphony,” or sense of a story being told from a diverse array of perspectives, rather than from one dominant point of view (oddly, he never felt that the works of Anton Chekhov, or other dramatists of his ilk, fit the bill). Saunders takes this notion and runs with it, and in the process he tells his story in a way that dramatically enriches our understanding of the characters and their actions. Despite its somewhat foreboding subject matter and style, Lincoln in the Bardo is ultimately so effective because it provides a compelling narrative of almost unparalleled emotional depth. 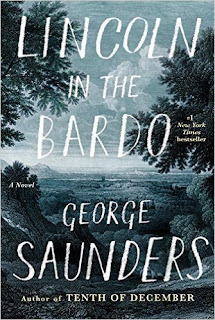 Saunders’s tone ranges from crude humor (Vollman, trapped in the bardo because he cannot let go of the joy that he experienced in consummating his marriage the very night before his unexpected death, seems doomed to wander eternity unclothed and sporting an uncomfortably prominent erection) to bottomless grief to a genuine sense of wonder and redemption. He captures both the formally rigid diction of upper-class individuals in the nineteenth century and the barely literate writing style of a common soldier, similar to what one might encounter in the voice-overs in Ken Burns’ famous documentary series on the Civil War. There’s also a somewhat Joycean quality (or, for lack of a better word, trippiness) to moments in the book when he attempts to convey the almost ineffable nature of the characters’ central experience of coming to terms with their state of being, and of their constant struggle to determine whether or not they should let go of that being, or grip it all the more tightly. No novel in recent memory has entranced me in quite the same way as Lincoln in the Bardo. I approached it with a certain sense of trepidation, due to its stylistic complexity, but ended up tearing through it with abandon. 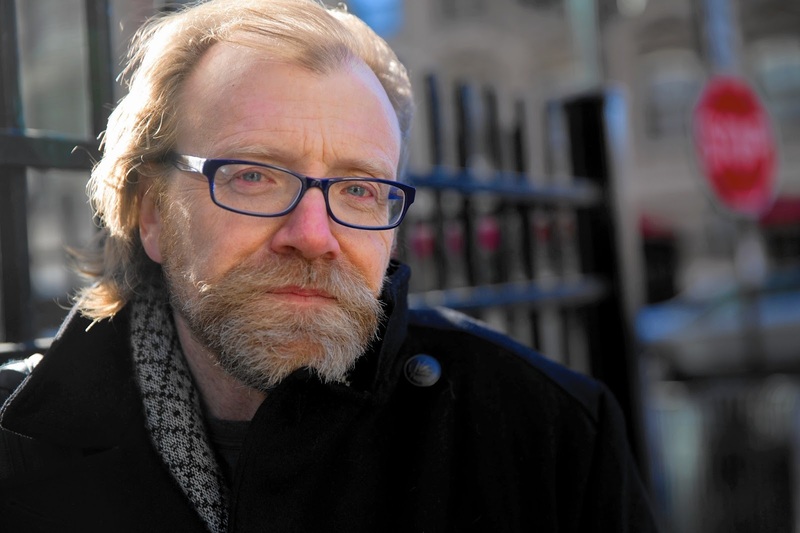 It’s a novel that’s deeply felt and -- perhaps paradoxically -- vividly alive.